Inventor and entrepreneur, Kari Warberg Block, was recognized with the Mooresville South Iredell Chamber’s highest honor, the Entrepreneurial Award. This award recognizes people who use business for the betterment of their community and aren’t afraid to disrupt the status quo. 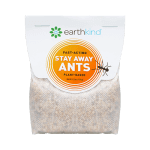 Block is the founder and CEO of Mooresville-based pest repellent manufacturer, EarthKind. The award was presented at the Chamber Business & Community Excellence Awards Luncheon January 23, 2018 with special guest Dale Earnhardt, Jr.
Block’s company, EarthKind, is a developer and manufacturer of high-performance botanical pest repellent pouches that have become the #1 choice of farm and vehicle owners to prevent rodent damage, as well as the top-rated brand by moms because of its safe nature for use in the home. EarthKind products are made in the USA and the company provides handicapped individuals with meaningful employment. Stay Away® and Fresh Cab® are sold nationally in stores like Lowe’s, Ace Hardware, John Deere, and more. One of the reasons Block was chosen for this award is exemplified through her community involvement. Describing the decision to work with Block, Lowe’s Director of Corporate Sustainability Chris Cassell said, “We partnered with EarthKind because it provides our customers with natural alternatives in the pest prevention market, and its hiring practices positively impact the communities we serve.” Block’s company has partnered with Mooresville-based LifeSpan to create jobs for the developmentally disabled workforce, who face a shocking unemployment rate of almost 50%. The Mooresville South Iredell area of North Carolina has enjoyed a successful business climate for years, and is well-known as the home of NASCAR. Block’s vision aligns with the community and culture of the area, bringing diversity, opportunity and a passion for our planet to the forefront of economic development. More on Block’s vision can be found by watching the following video. 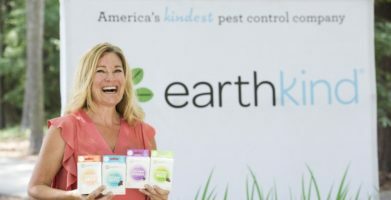 Media interested in setting up an interview with Kari Warberg Block to learn more about EarthKind and its line of household-friendly pest control products, please contact Rita Stadler at rita(at)earthkind(dot)com or 701.751.4456. 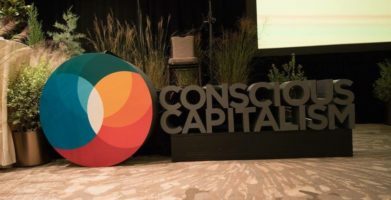 Kari Warberg Block, CEO, is a serial entrepreneur focused on growing ideas, products, companies, and people through a sustainable approach. 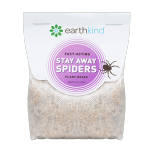 Her company, EarthKind provides proactive, natural alternatives to protect against and prevent pests. 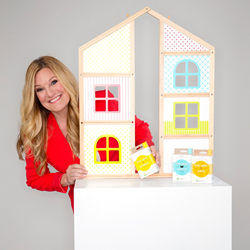 EarthKind has been ranked on the Inc. 5000 list of fastest growing companies, is a certified WBENC & Women Owned Small Business, and has won numerous for its innovative products, such as the highly coveted NEXTY award, which recognizes the next big brand in natural. Kari was named to the EY Entrepreneurial Winning Woman Class of 2012, 2013 ND SBA Small Business Person of the Year and National Second Runner Up. 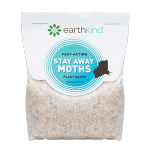 Block’s company, EarthKind, is a developer and manufacturer of high-performance botanical pest repellent pouches that have become the #1 choice of farm and vehicle owners to prevent rodent damage, as well as the top-rated brand by moms because of its safe nature for use in the home. EarthKind products are made in the USA and the company provides handicapped individuals with meaningful employment. Stay Away® and Fresh Cab® are sold nationally in stores like Lowe’s, Ace Hardware, John Deere, and more. One of the reasons Block was chosen for this award is exemplified through her community involvement. Describing the decision to work with Block, Lowe’s Director of Corporate Sustainability Chris Cassell said, “We partnered with EarthKind because it provides our customers with natural alternatives in the pest prevention market, and its hiring practices positively impact the communities we serve.” Block’s company has partnered with Mooresville-based LifeSpan to create jobs for the developmentally disabled workforce, who face a shocking unemployment rate of almost 50%. The Mooresville South Iredell area of North Carolina has enjoyed a successful business climate for years, and is well-known as the home of NASCAR. Block’s vision aligns with the community and culture of the area, bringing diversity, opportunity and a passion for our planet to the forefront of economic development. More on Block’s vision can be found by watching the following video. 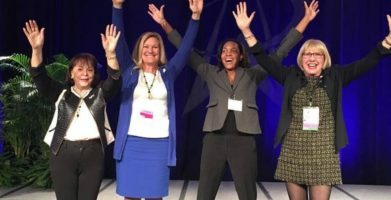 string(48) "Being ‘EarthKind’ Wins Big in North Carolina"